Thank you for a great first season of The Business of Aging radio program – See you in September! We have just completed our first block of episodes for The Business of Aging on WGRN (WeEarth Global Radio Network) and I wanted to say “Thank you” to all my guests, the team: Allan, Kat, Nick and Judy, and my Continuum Crew team. These last couple of months have enabled me to get back to my radio roots (so much fun!) and have some of the most insightful and inspiring conversations around the implications to businesses of an aging population. The tenth show, The Business of…Reaching Boomer Women, we have guest Stephen Reily, founder and CEO of VibrantNation.com the leading online community for Baby Boomer women. It is the place online where women connect and support each other on issues unique to life after 50. Stephen Reily is an author, speaker and expert on Boomer women. He writes for MediaPost and brand channel, and has contributed to Brandweek. 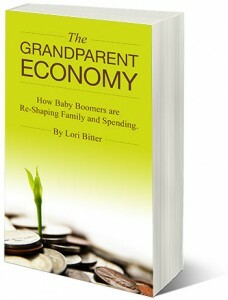 He is the co-author – with Carol Orsborn – of Vibrant Nation: What Boomer Women 50+ Know, Think, Do & Buy; we talk about the book later in the show. Barbara is holding another one of these great workshops. Our go-to coach at Continuum Crew, executive and life coach Barbara Waxman works with adults at midlife ‘and better’. It is especially relevant as we hear of the redefining of retirement, another stage of adult development and the minds of those in that life phase turning towards thoughts about their legacy. Some of you may have been lucky enough to catch Barbara’s session at the recently held ASA conference, where there was standing room only. If you are local or will be in to the San Francisco bay area, don’t miss it. One attendee called it a “spa day for the soul”. We asked Barbara to describe this workshop, full details below. self-identified as happiest all had lives that they felt ‘had purpose’. Whether this is a calling, a faith or a mission, a life with purpose is attainable by everyone. Anyone with a desire to recalibrate their life, within their means and capabilities, to be one enriched and guided by a sense of purpose. Anyone looking for a renewed enthusiasm they can bring to work or their home life. Anyone who wants to be more conscious and deliberate in his or her life choices, and to align those goals with their true values. A reference frame for selecting the aspects and elements necessary for you to feel you are living with passion and purpose. Get to know the stranger and best friend who is you; and leave with a roadmap for making choices aligned with your values. Barbara Waxman is an expert on the subject of midlife and older adults as they navigate major transitions in career and life. As ‘America’s favorite coach for adults, midlife and better,’ she has dedicated her life’s work to helping people 40 and better to harness their personal and professional goals, navigate life’s transitions and use their wisdom to discover their highest potential in the second half of life. She guides and empowers others to live with passion and purpose as they embark on their life’s journey.